Facebook Messenger for iOS and Android is set to receive a visual overhaul this week that puts focus on navigating and the really important stuff. Although the Facebook Messenger app for both iOS and Android is fine as is, it can use a little lick of paint to freshen things up. Facebook is doing exactly that, and has announced a bunch of changes to the app on both platforms, ensuring things are exactly where they should be. First and foremost, Facebook is focusing on navigation a lot. Rather than letting the user do all the legwork by diving into different options, it’s bringing a tabbed view to the main screen. Instead of just seeing your conversations, you’ll now see three tabs at the top labelled: Messages, Active, Groups. As the name implies, all tabs ensure that you get to the relevant place immediately. This also makes sure that you get to your most active contacts instantly and see who is using Messenger at any given time. The bottom bar now houses a smaller Camera button, instead of the usual larger one that definitely looked out of place. Also, the Call and People buttons are accompanied by a dedicated Games section as well. Basically, Facebook wants to put focus on all the things that can enhance the overall value of Messenger itself. 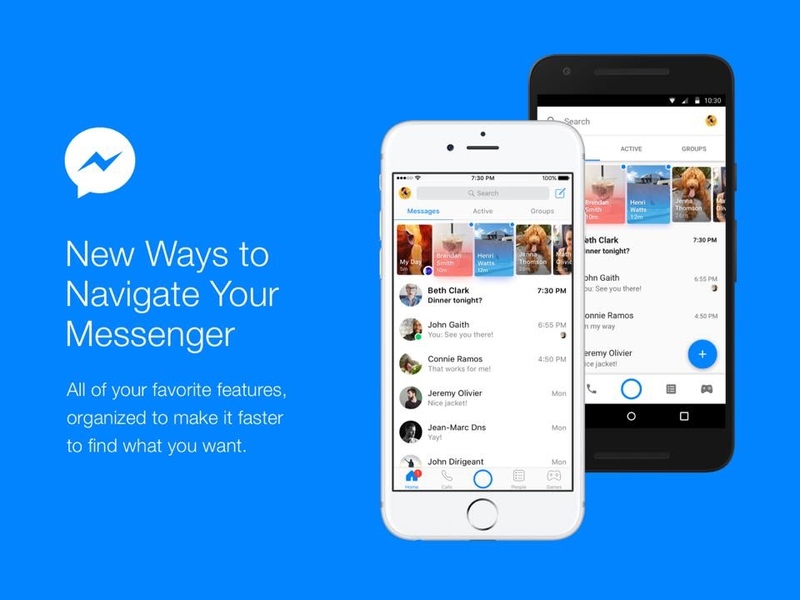 Facebook Messenger will get all the above mentioned changes starting this week the world over. If there’s an update available right now, then you should head over to the App Store or Google Play Store to check it out. You can download the Messenger app for free from the links embedded below. It’s great to see Facebook working on these changes, putting everything in its rightful place. But quite frankly, while all these features sound cool, certain users, like myself, would love doing without all the clutter. Basically, a ‘lite’ version of the app would be a great thing to have on iOS. This is something that is readily available on the Android platform.